Did you ever study the Rand McNally's road atlas and wonder about the faraway points of interest labeled with small, red italicized print? 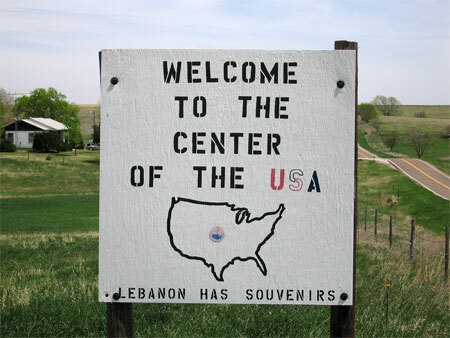 The Geographic center of the conterminous, or lower 48, states is one such place in the atlas. 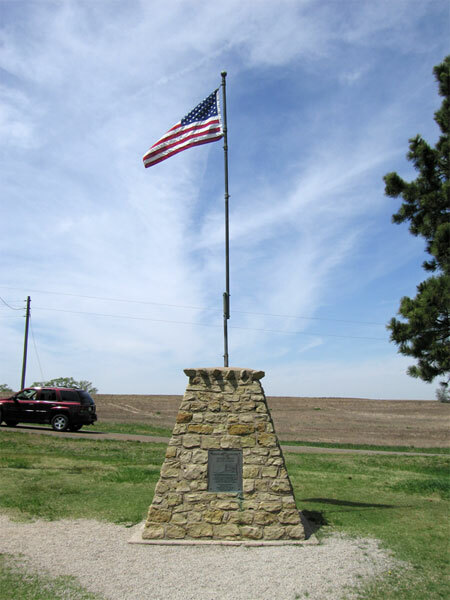 The center is located a couple miles northwest of Lebanon, Kansas on Kansas Highway 191, which seems to have been built just for the purpose of getting to the center. The center is quite pleasant. 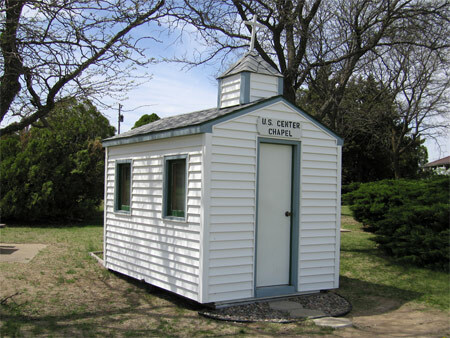 There was a monument, a picnic area, a tiny chapel and an abandoned motel. What more could a tourist want? 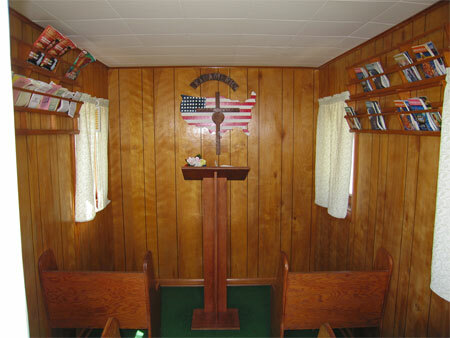 There was a little sign in the chapel asking visitors to leave their name, hometown, and comments. I didn't have anything to say and I didn't see any paper anyway so I didn't leave a note. As I was buying souvenir postcards and magnets from the grocery store in town the woman who looked to be the store's owner asked if it was my first visit. Then she asked if I had left my name at the chapel. She shook her head with disappointment when I said I hadn't, tore off a piece of a cardboard box, and very sweetly let me know that I should leave my name and hometown. the group and i stoped by there on our way home to kansas city on 10/11/06 . thought it was a cute lil place .